By clicking the Order button, you agree to the Terms and Conditions of our Rental Agreement. Thank you for renting race gear from Racesuitrental.com! We appreciate you choosing us to protect you during your racing event. We require that the suit be shipped back to us with the included return label within 2 days after your race. If this cannot be done, you must make prior arrangements with us. If prior arrangements are not made, rental fees will be taken out of your deposit for each weekend after your race until we receive the suit. If you ship it back within 2 days of your race and the shipping time takes longer, no additional fees will apply. 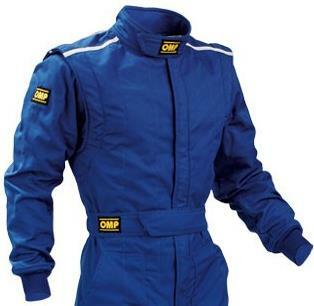 Professional racing suits are fragile and can tear easily from contact with sharp objects. We inspect every suit for damage when they are returned. There will be repair fees taken out of your deposit if we need to make minor repairs. 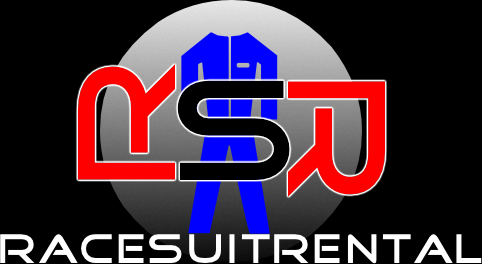 In the case of damage beyond repair, Racesuitrental.com reserves the right to use part or the entire sum deposited by the customer to either repair the damage or purchase a replacement suit if necessary. Racesuitrental.com shall be the judge of what constitutes damage to the suit. The race gear shall be returned in the same condition as it was shipped. Please do not make any alterations to the suit or gear. You are responsible to return the gear in the same condition it was rented (except for normal wear and tear). Please do not try and repair or clean the gear on your own. Racesuitrental.com is not liable for the safety of any person wearing the Race gear during the rental period or thereafter. 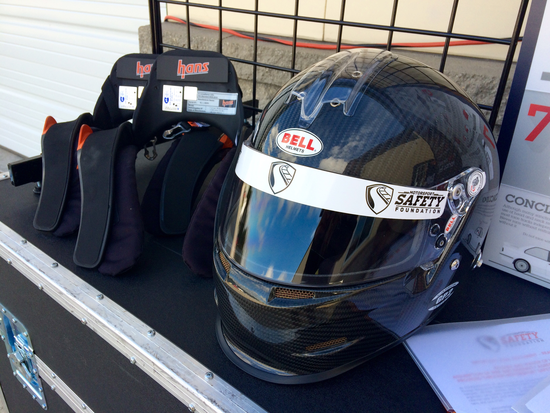 The driver and or customer renting the race gear assumes all responsibility for their safety. 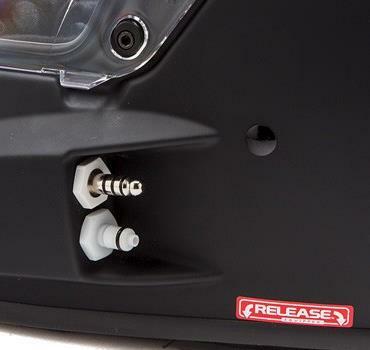 Thank you for taking care when using our racing gear. We hope that it makes you safe and fast! cover up any labels on the box and seal securely with packing tape. Remove the backing from the enclosed, pre-paid FedEx label and affix it to the package. Bring your package to any FedEx authorized facility (FedEx Store, most large office supply stores, or any FedEx facility, to name a few). Your employer may also receive regular FedEx service, so the driver there can take it, as well. 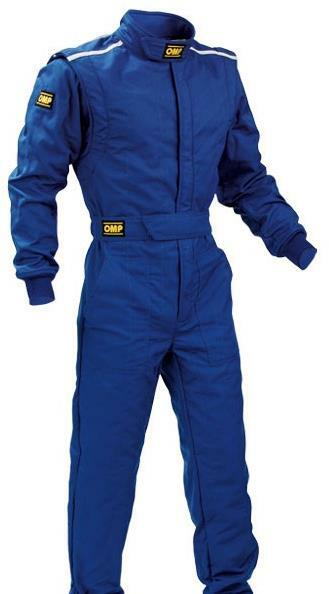 At Racesuitrental.com, we are dedicated to providing excellent customer service and satisfaction, as well as offering reasonable prices on the safety gear you require. We hope that you have a great race and that we can be of service to you in the future! 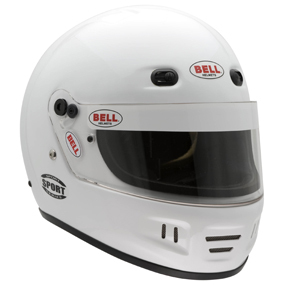 Rent SA rated helmet for: $75 per event + $200 deposit. 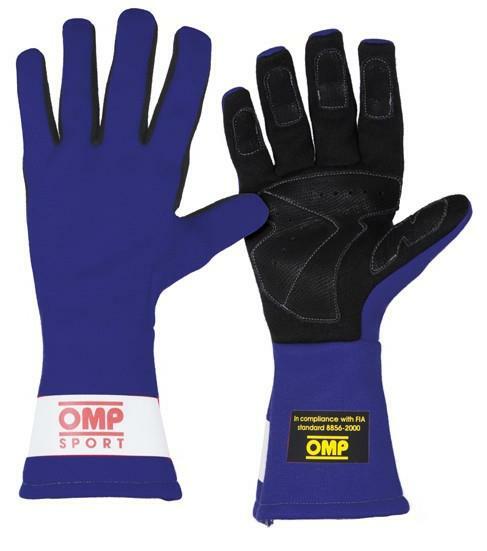 and we sell the required Nomex® socks as who would EVER rent socks! This special safety package ships complete with gear bags. 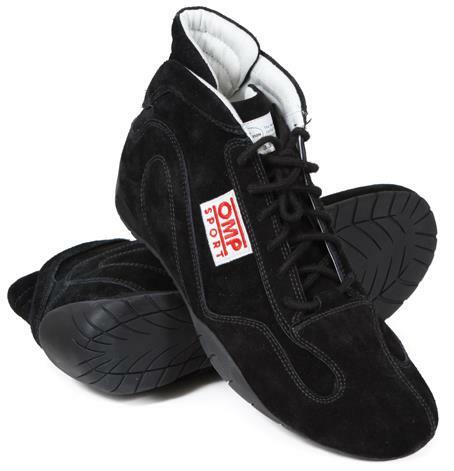 and meets all driver safety requirements for these events. CLICK HERE to rent this package for: $750 per event + deposit. please e-mail us for group discounts. *Teams must reserve this safety package 14 days prior to the event. Rent this package for $200 per event + deposit. Rent this package for $150 per event + deposit. $100 per event + $300 deposit. • Teams can share single device. 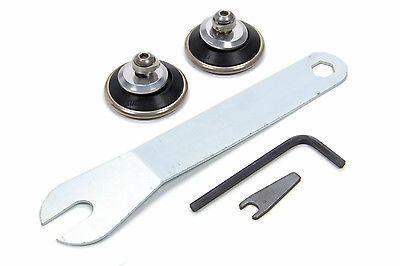 • Supplied with Sliding Tethers. • SFI & FIA ratings. 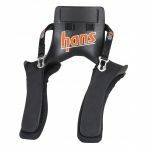 *Must have helmet with standard Hans posts installed, rent helmet with HANS post option or purchase below. 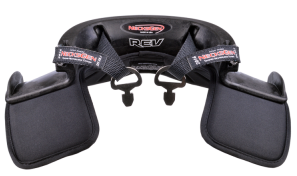 Rent a helmet & HANS device for $125 per event. 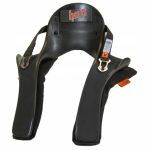 Race with Restraint is a program dedicated to making Frontal Head Restraints (FHR) easily accessible to anyone who goes on a race track. The ROUX Endurance helmets feature built in Radio connections with noise-cancelling microphone, speaker pods & hydration drink tube. 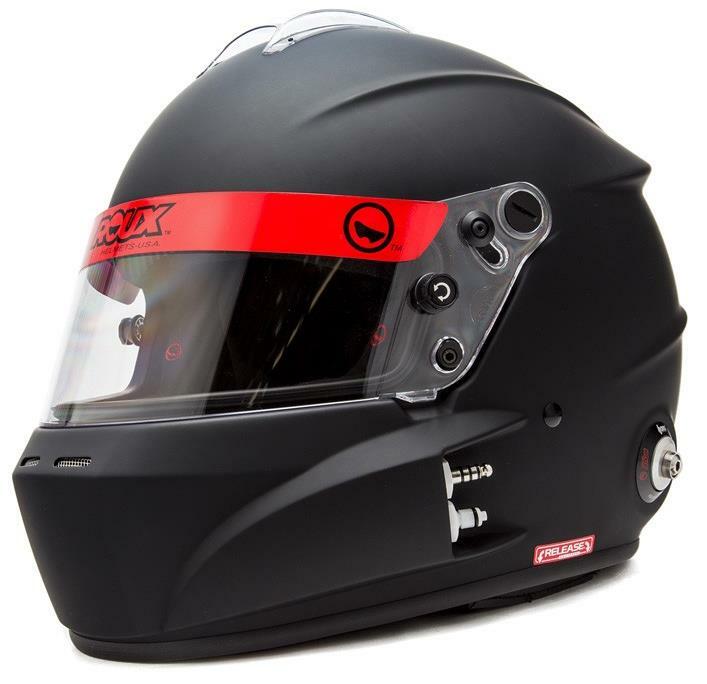 Rent the ROUX helmet for: $125 per event + $300 deposit.